The tutoring center is useful for students looking for help on their assignments. Photo courtesy of Crystal Harrell. 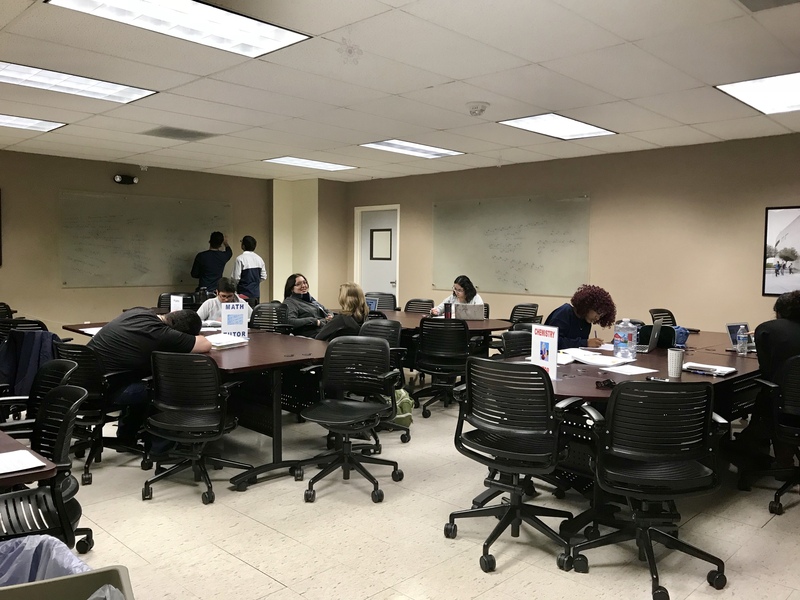 Located in room 352 of University Hall, the Office of Undergraduate Studies (UGS) provides important services that CSUSB undergraduate students can use to assist in their academic journey. With that goal in mind, there are many programs and features of the UGS division that students can use to make their beginning years at CSUSB less stressful. One such example is the advising and academic services located in room 380 of University Hall. This enables students to get helpful assistance from academic counselors and craft an educational plan to guide them through their four-year course load. Another department of use to undergraduate students is the tutoring program. Tutoring lets students enhance their studying skills and build more knowledge to overcome any difficulties they may be struggling with in class. Registered CSUSB students are encouraged to make walk-in appointments with the tutoring center staff on a variety of subjects. It is also recommended to bring useful materials like a course syllabus, assignment prompts and handouts so peer tutors can get a better idea of how to help students. Junior Rachel Jimenez uses the tutoring program when she needs someone else to explain material she may not understand. “Learning subjects like science or math don’t come easily to me, so that’s why I really like to use tutoring when I need that extra support and explanation,” Jimenez said. Another popular resource for students at the UGS division is the writing center. If CSUSB Coyotes are trying to write an important paper for a class, the writing center is there to assist in expanding ideas and organizing the paper. They also help with proofreading issues like spelling and grammar. The undergraduate studies office provides a variety of services. Photo courtesy of Crystal Harrell. UGS also extends their departments to those planning to attend CSUSB with the Early Start Program and Coyote First Step. These programs provide a fully residential summer experience for students who are participating in Early Start math and attending CSUSB in the fall. The Early Assessment Program is another important aspect of UGS that helps prepare college–bound high school students with the necessary English and math skills to succeed at CSUSB. “To serve our students, we collaborate with faculty and staff across our campus community, as well as our off-campus partners to promote the success of all our students,” Craig Seal, Dean of Undergraduate Studies, stated. Other departments of UGS include the Educational Opportunity Program, Student Mentoring Program, Honors Program, Student Assistance in Learning and Supplemental Instruction. Students are encouraged to learn more about these departments by contacting the UGS office or visiting the CSUSB webpage.